The Oceana is a 2,800 SF 4 Bedroom, 3.5 Bath, home with details throughout. It was designed by Melillo Architecture in 2015 and the home was completed in 2016. 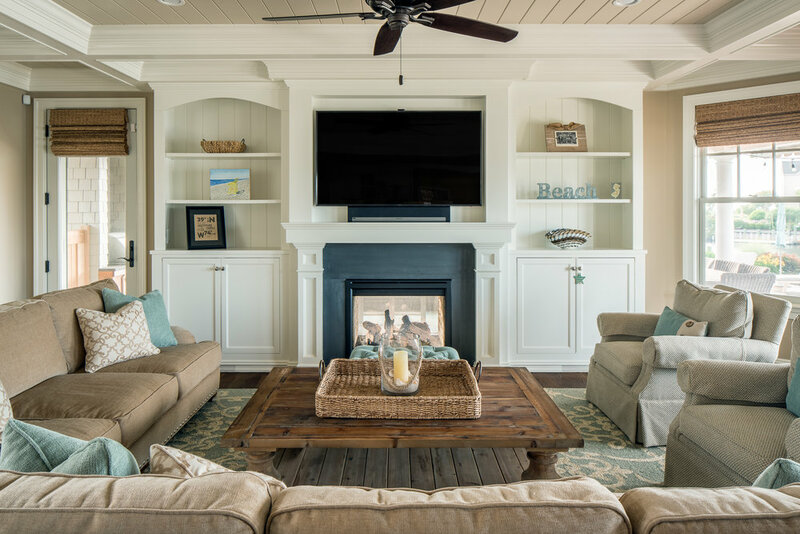 The owners wanted to capitalize on the water views and create a space to enjoy with their family and friends both inside and out. The rear covered porch is 1,000 SF of perfection, that includes an outdoor fireplace, a mahogany ceiling, an outdoor grill, and a bathroom with 2 showers. We used HardieShingle® on this home to stay true to the shore look with a lasting low maintenance product.